After one of the most intense seasons in Rocket League Championship Series (RLCS) history, it’s time for all the amazing saves, mind-blowing shots, and heart-pounding moments that we've come to expect from the best Rocket League players in the world. On November 10-12, live from the MGM National Harbor in Washington D.C., we will find out who the best really is. 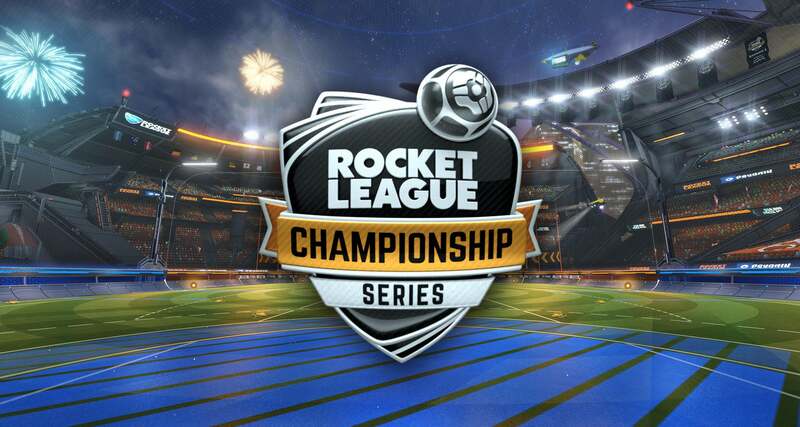 After one of the most intense seasons in Rocket League Championship Series (RLCS) history, it’s time for all the amazing saves, mind-blowing shots, and heart-pounding moments that we’ve come to expect from the best Rocket League players in the world. On November 10-12, live from the MGM National Harbor in Washington D.C., we will find out who the best really is. It’s been more than a year since we’ve seen a team from North America make it to the Grand Finals but with the strongest teams in North America headed for the United States capital in DC, will the story be different this time around? NRG Esports is the only team returning from the Season 3 World Championships and having home field advantage could very well work in their favor. G2 Esports, on the other hand, is making their Worlds debut, led by the former World Champion, Kronovi. Will they make a statement on the international stage? Ghost has been underestimated all season long and they aim to use that perception to their advantage — as they have consistently shown themselves to be a force against other NA teams. The heavy favorites, Cloud9, are looking to prove that they are the top dogs on the most important stage in Rocket League Esports. In short, North America has everything to prove when they head to the pitch later this week. The teams from Europe have continually shown they are the strongest region for Rocket League time and time again. The territory has produced five of the last six Grand Finalists dating back to the beginning of the RLCS, not to mention that both the Season 2 and Season 3 World Championships have gone to that side of the Atlantic. That said, they are beatable — as proven at the DreamHack Atlanta and X Games summer events. Will the EU continue their championship run? Making their RLCS LAN debut, PSG eSports and Method are both looking to continue the dominance they showed during League Play, while RLCS veterans Mock-it eSports, led by Paschy90, look to take their team all the way to the gold. Of course, with number-one-seeded Gale Force Esports also in the mix, that’s no easy task. Could Gale Force’s Turbopolsa become the first player to win back-to-back championships in RLCS history? We’ll soon find out! With all the focus on NA and EU, Oceania (OCE) has been training hard for their return to the RLCS. Learning lessons from the Season 3 finals this past June, OCE has been practicing like mad and adapting to the different play styles of their North American and European counterparts. Returning fan favorite, Chiefs ESC (formerly Alpha Sydney), has maintained their roster since we last saw them at the Season 3 World Championships with Jake, Drippay and Torsos all making their return. However, a new challenger from OCE is joining them under the name Pale Horse eSports (Kamii, Kia and CJCJ). With OCE taking down Denial last RLCS, teams from Oceania should NOT be underestimated. Fan Rewards are back for the World Championship! Plus, for this weekend only, we’ll be offering double painted item drops for all eligible Fan Reward items! If you’ve been chasing those elusive Titanium White Apex wheels, this is a great weekend to tune-in!